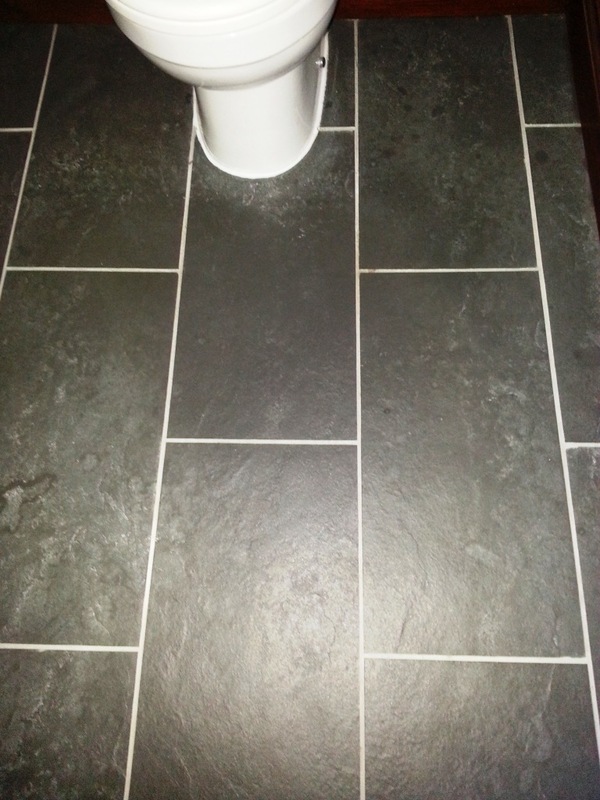 Our client in Ravensden had a rough slate tiled floor fitted into her en-suite bathroom approximately six years ago. 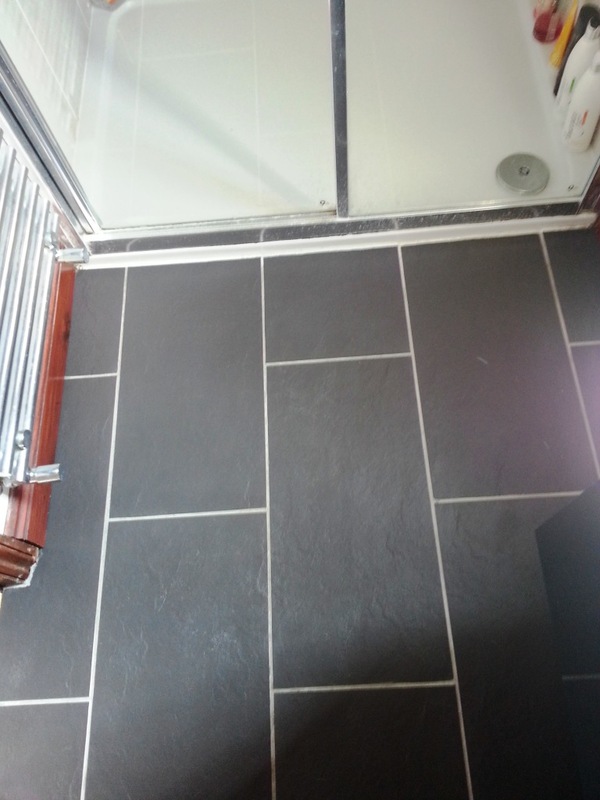 The tiles were never sealed and due to the hard water in the area, plus shower products the floor developed a white crust in areas. 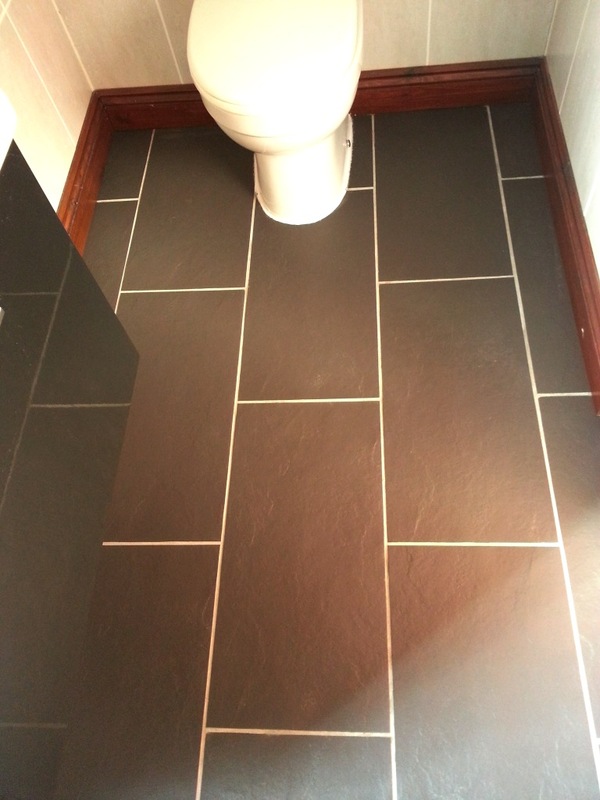 Tile doctor deals with tile problems across the UK everyday and leads the way in developing new techniques to deal with tile related issues and so I was confident of finding a solution that could resolve the problem with a single visit. Mindful of damp levels in the slate we used a small coarse 200 grit Tile Doctor Diamond pad on a six-inch hand held machine to take off the lime scale. This cleaned most of it off but in corners and some deep rough areas where the pad could not access were spot treated using Tile Doctor Acid Gel which was left to sit and dwell for 20 minutes then rinsed off the floor. A turbo fan was used to speed up the drying of the floor and within a couple of hours it was dry enough to seal for which we used a couple of coats of Tile Doctor Colour Grow which is an impregnating sealer that seeps into the pores if the Slate protecting it from within and enhancing the look of the stone in the process. 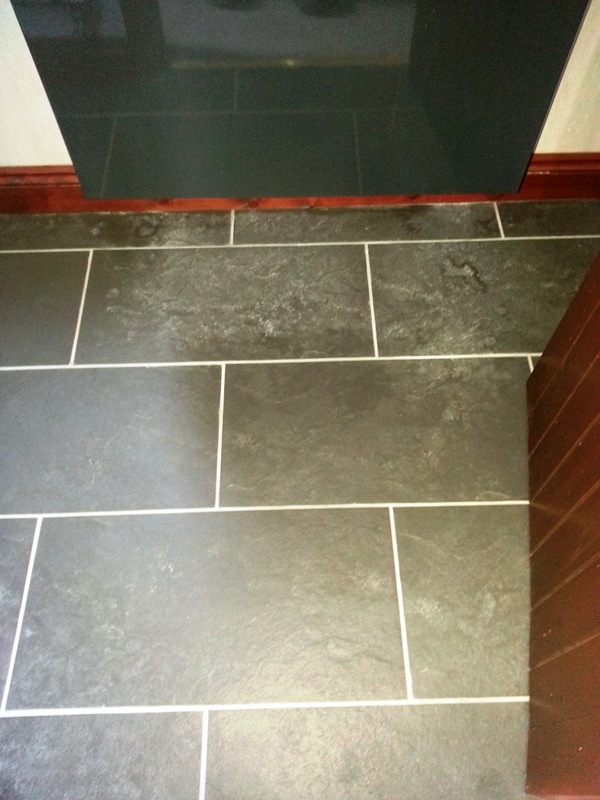 This entry was posted in Slate Tile Posts and tagged bathroom, befordshire, Ravensden, slate tiles, tile cleaning, tile sealing by AbzDominise. Bookmark the permalink.